We take a look at yesterday’s Scottish Widows Retirement Report, which finds that more people than ever are saving towards a comfortable retirement, but that it’s still not enough. How much income do we want? How much do we think we need to have saved? When do people start to save? Do people understand the options? Where will people go for advice? What do people want to do with their money? The Scottish Widows Retirement Report is an annual survey of the nation’s retirement saving habits that dates back to 2005. 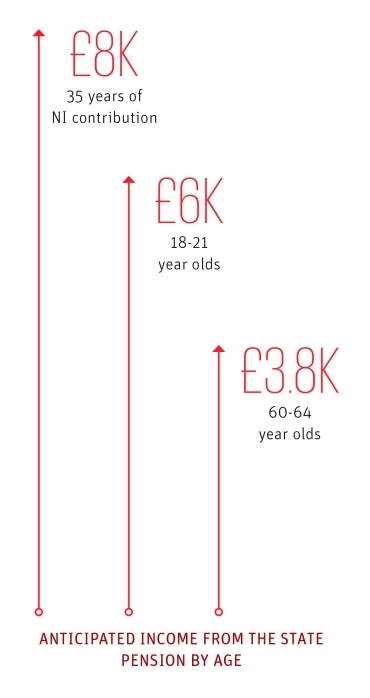 The report looks at the percentage of men aged 30-64 and women aged 30-59 (with salaries above £10K pa) who are saving adequately for their retirement. This year’s report is based on research carried out online by YouGov across a total of 5,191 UK adults over the age of 18 from March-April 2015. Note that these “adequate savers” will still experience a fall in their living standards in retirement compared to their working life. Not quite, though the results were the best ever, with more than half of savers (56%, up from 53% last year) putting enough away. Men were more likely to be saving enough (60%, compared with 52% of women). For the first time, the average savings rate reached 12% of earnings. In 2006 this rate was 6% and in 2013 the average was 9%. This partly reflects the rollout since 2012 of automatic enrolment into workplace pensions. The proportion of people remaining in these schemes (around 90%) has exceeded expectations. They are about to be rolled out to small businesses (10-49 employees) and it is hoped that this will lead to further improvement. People are saving on average £142 a month, up 8% from £130 last year. Almost one in five (19%) expect to save more over the next year. Despite the generally positive picture, one in five people (6.2 million) are still not saving anything for their retirement. This is the same level as in 2009. Two thirds of these say that they can’t afford to save anything. A similar number (19%, up from 17% last year) have no savings or investments whatsoever. No. Broken down by age, it’s no surprise that 62% of the over 50s are adequately saving. But 50% of the over 50s are unlikely to save more in the next year, and around 10% think they have run out of time to make a difference. Around the same number (9%) are still prioritising debt repayment. 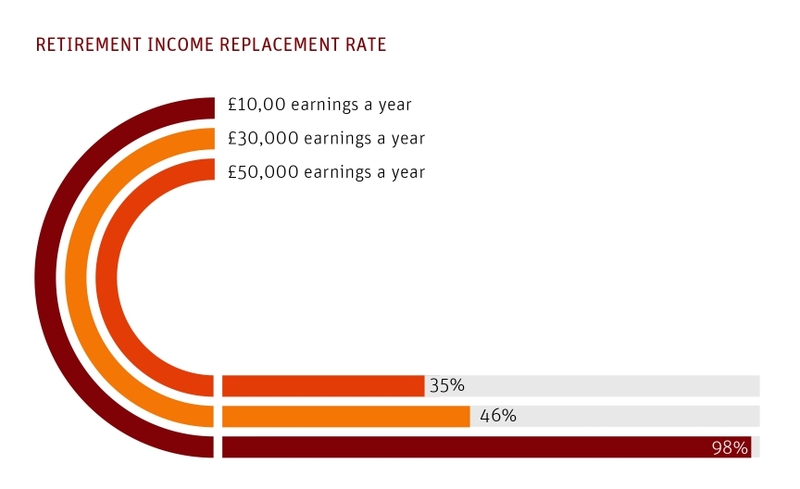 Income also matters: 43% of those earning less than £10K pa are failing to save anything, compared to 24% of those earning up to £30K and just 9% of those earning more than £30K. There was a big improvement in savings by 30- to 49-year-olds, 54% now saving adequately, compared with 42% only two years ago. The self-employed and those working in small businesses are not doing so well, with 39% and 30% respectively not saving anything, up from 23% last year. 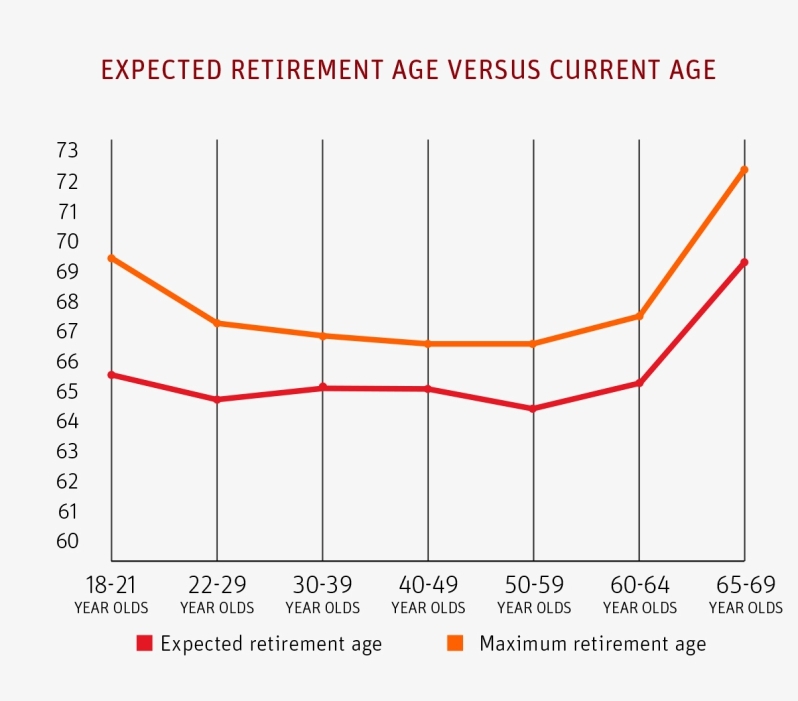 People would generally like to retire by the time they are 63, but are prepared to wait until 67. 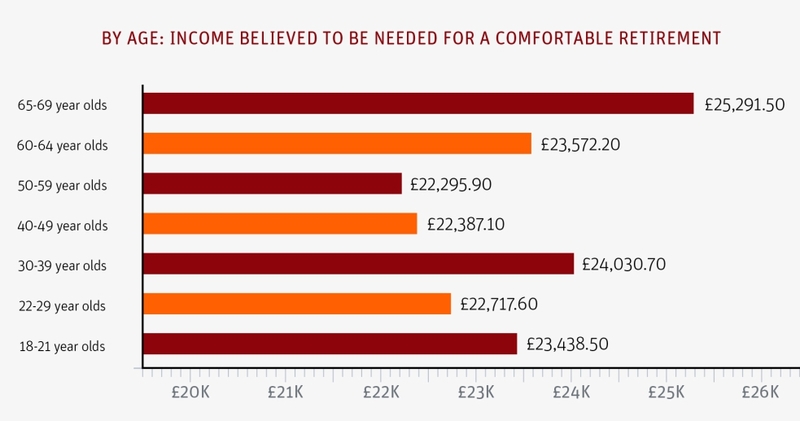 The average income people aged 30-65 would need to feel comfortable is £23.5K pa. However, people saving at the current average level can expect an annual income of £15.6K, an average shortfall of £7.8K. 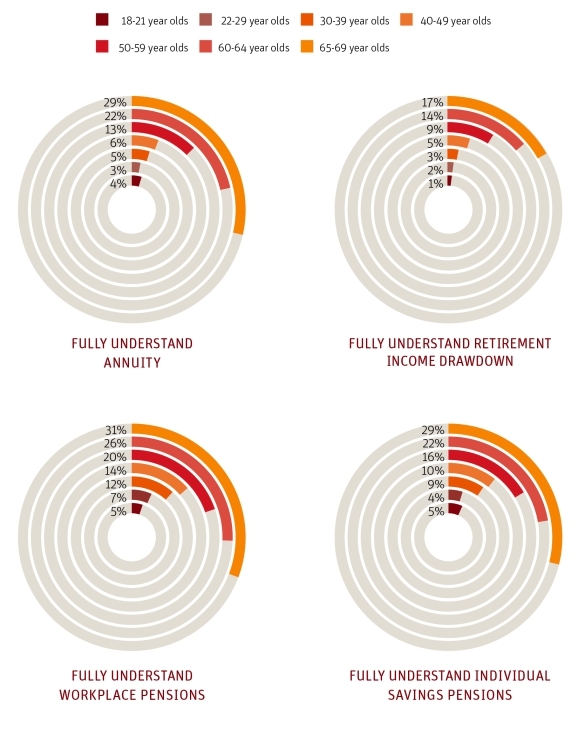 There is a big gap between how much people think they need to have saved by retirement, and how much they really need. The average person thinks that they can produce their required income of £23.5K from a pot of £363K, whereas Scottish Widows (SW) think that £451K will be needed. It’s interesting to note that the best savers have the best idea of how much money will be required. 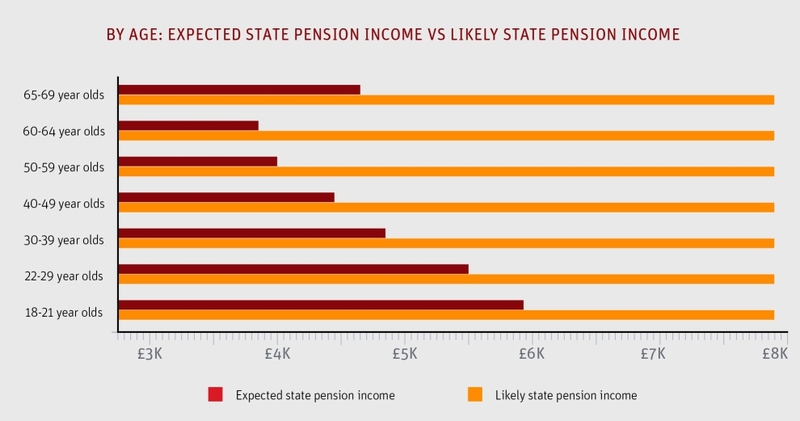 SW are including the state pension in their calculation. Given the rising state retirement age, this is an issue for anyone aiming at early retirement. I would suggest that a safer calculation would ignore the state pension. In the current low-yield investment climate, a pot of more than £650K would be needed to safely produce £23.5K. This is almost double what people think that they need to save. 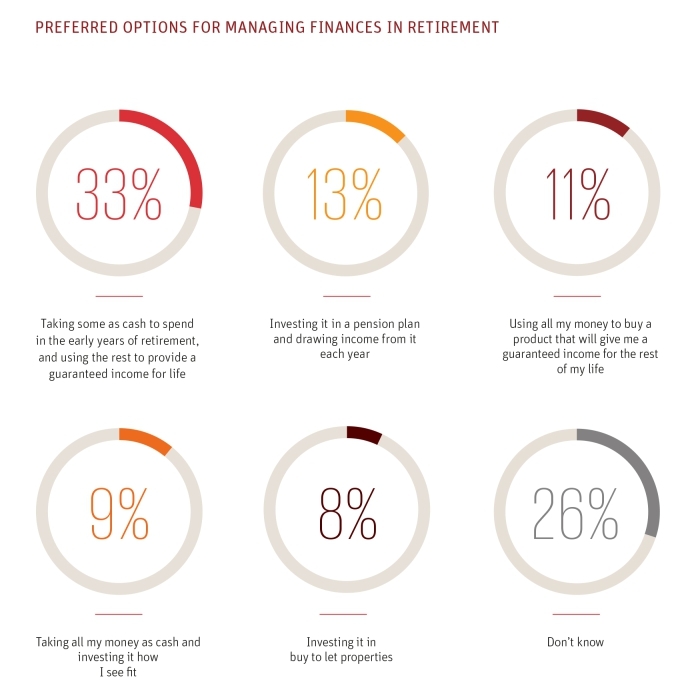 There is surprisingly broad agreement about the age at which people should start to save for retirement. Adequate savers begin at 28, and serious under savers at age 30. While the extra two years will make a small difference, it’s clear that the message that pension saving is not just for the over-40s is getting through. Overall, around 40% feel positive about their short-term and long-term financial situation, up from 37% last year. 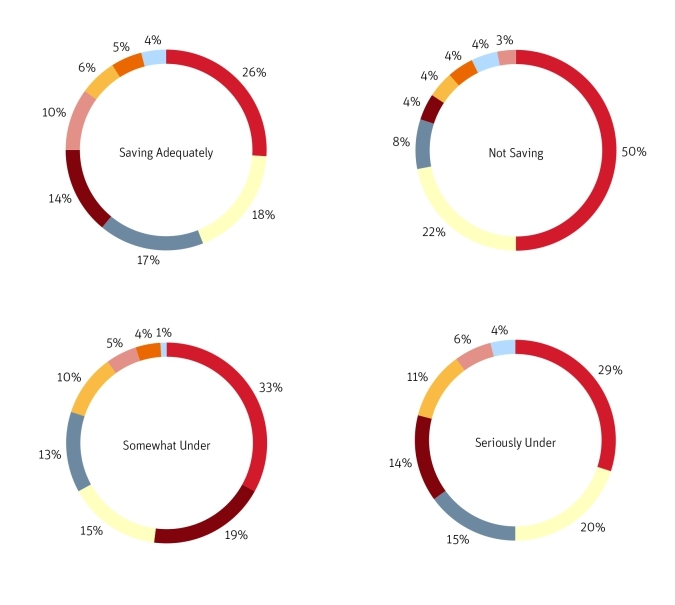 This varies by savings rate: more 50% of those saving adequately are optimistic, compared with less that 40% of under- and non-savers. 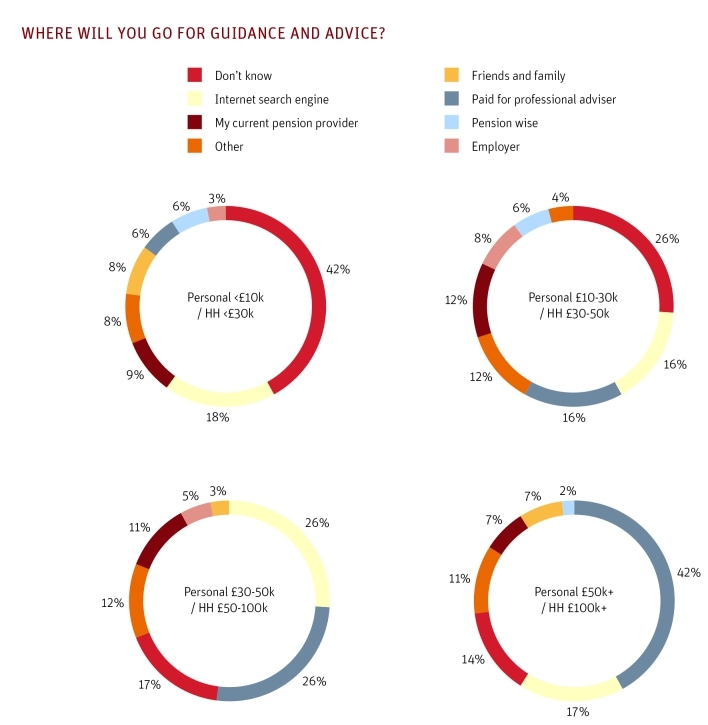 Looked at by income, those on higher incomes plan to use more professional advice, as well as the internet. Those on lower incomes are less sure what they will do. Though more of the lowest income households would seek help from PensionWise than any other group, it’s still only 6%. Only 15% of the population were are aware of this service at launch. Looked at by savings, the same trend is visible: those saving well will use advice and the internet, those not saving are less sure. There’s quite a bit of work to do here on education people about the risks of taking cash and the poor value that annuities represent. Previous story Twenty years of AIM – should you invest? We take a look at Company Pension Deficits, and why they are proving so difficult to pay down.